The Suburban is an American icon. In limousine form, it makes an even more powerful impression. Its rugged elegance makes it a bit different from other limousines, and it commands presence like no other vehicle on the road. 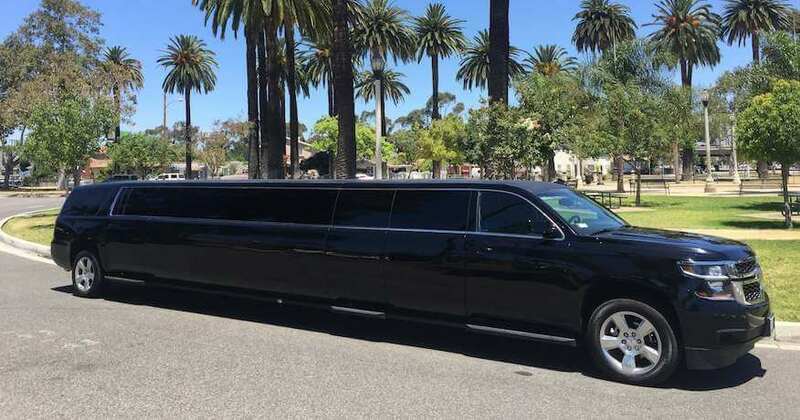 With a seating capacity of up to 14 adults, this vehicle is ideal for prom, homecoming, bachelor parties, and special events transportation. It’s comfortable, spacious, and decked out with handcrafted floor and ceiling for perfect interior ambience. A fully stocked minibar is also available upon request. Call us toll-free at 1-(800) 680-6353 for bookings and inquiries.